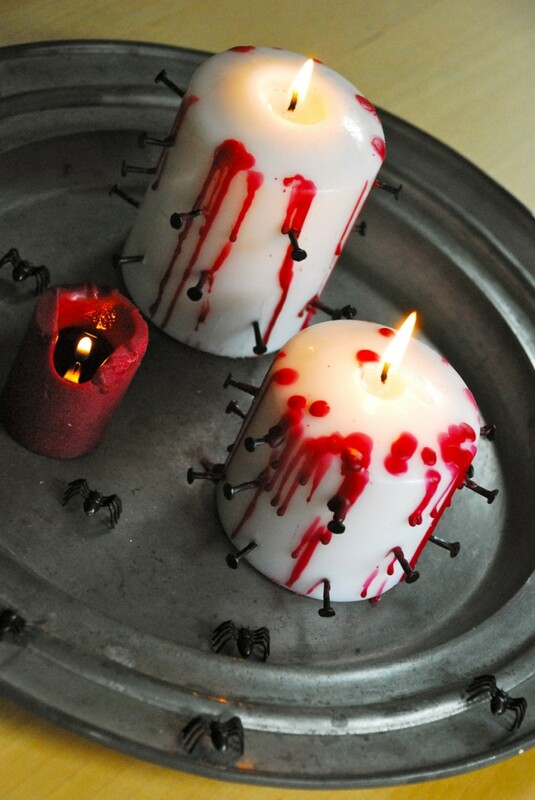 The kids and I love to decorate the house for Halloween; we can’t start soon enough. I remember one year, we were so excited to get the ball rolling, we made a scarecrow and put paper ghosts in the windows the day after Labor Day! 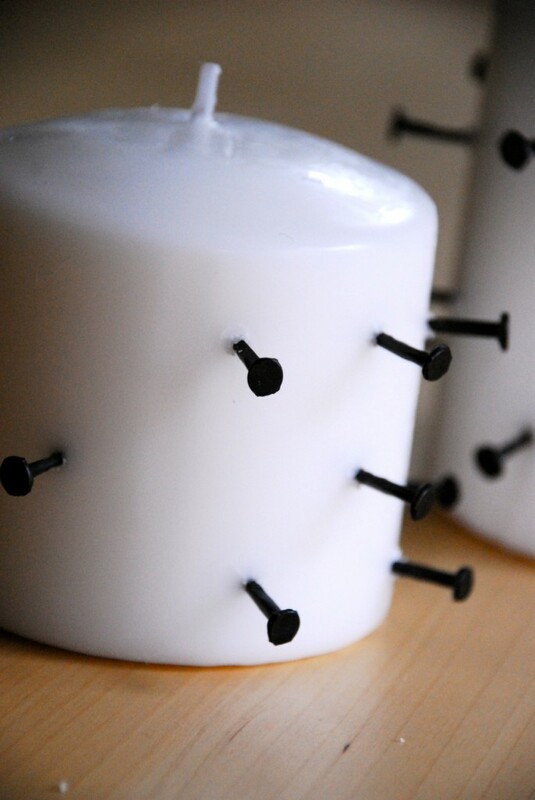 You can make these tortured candles in less than 5 minutes and the kids can help. 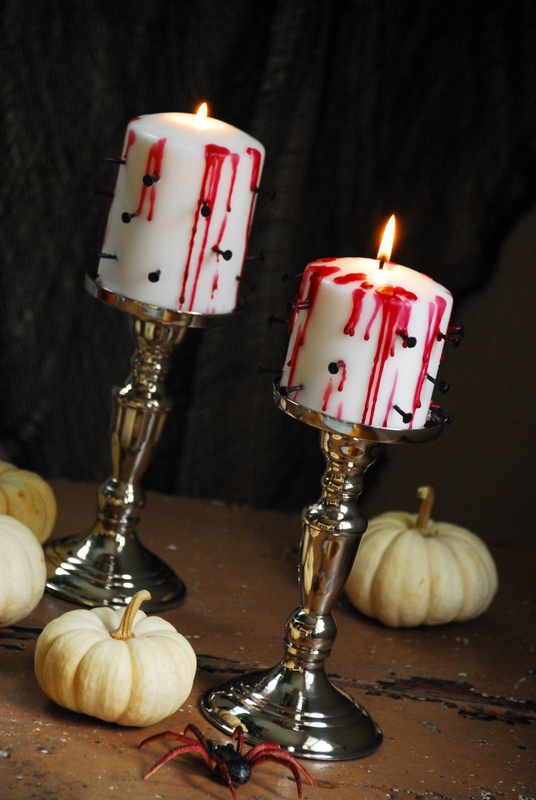 These macabre candles will definitely add a gruesome feel to your Halloween table. 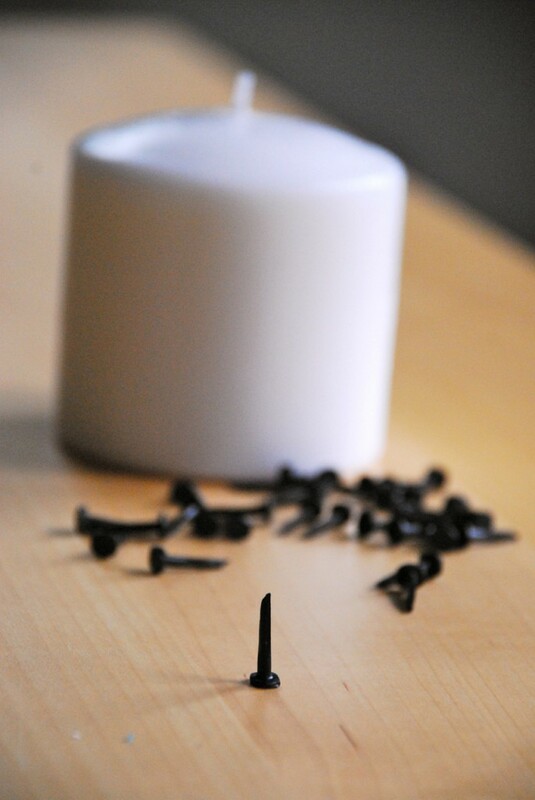 For this project I used #10 black carpet tacks – available at home improvement stores in the same aisle you would find nails and screws. 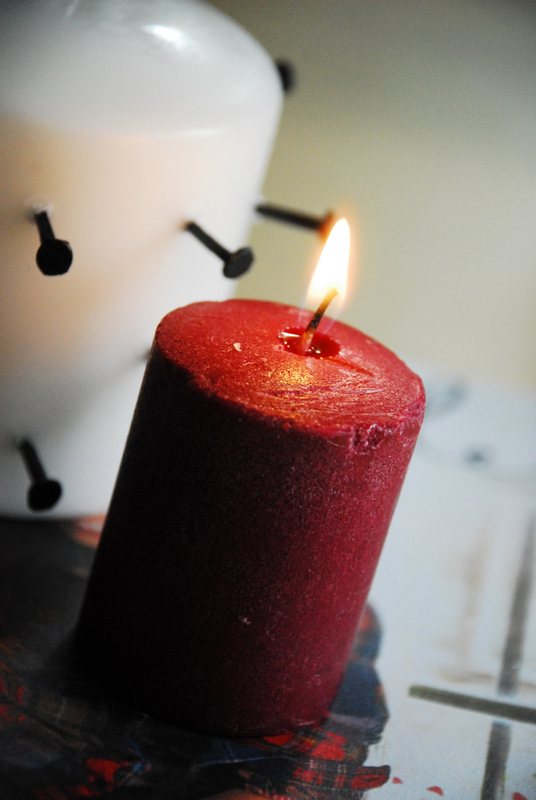 Stick tacks about half way into your candle. 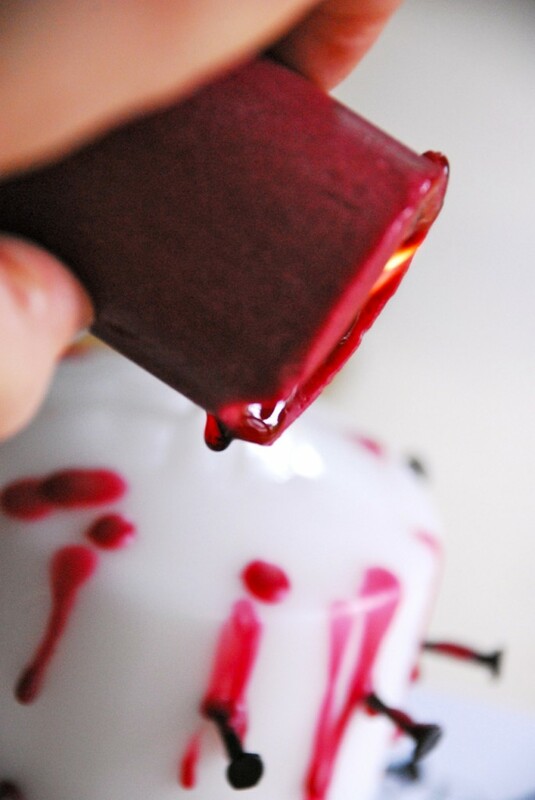 Drip red wax onto the sides of the white pillar. If you're going to a Halloween party this year, you could make these as a hostess gift. Give it a try and let me know what you think. 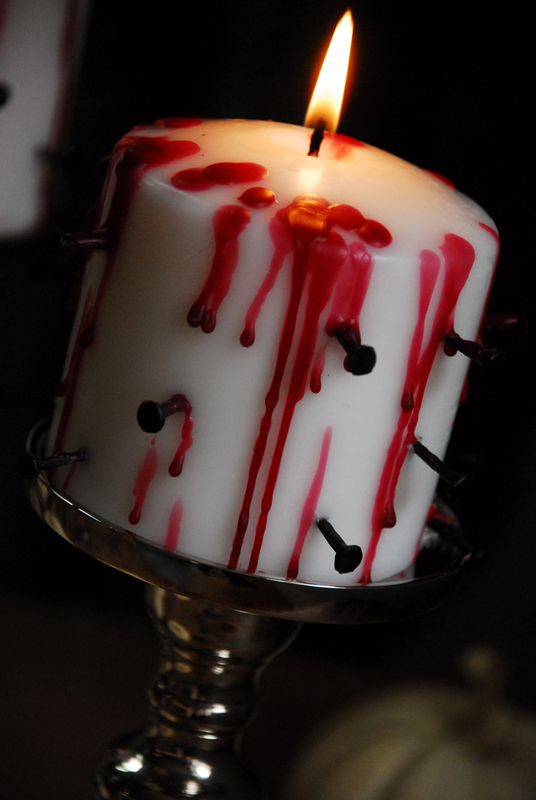 If you like this project, you might also like to try my “Bloody Good Candles” too. NAILS!!! Why didn’t I think of this? I knew the red wax trick, but nails? Dang, I musta been snoozing! They look amazeballs- I have the same wee spiders in my stash, ready to roll!